The label “autism” ? Yes, please. In my son’s school, ‘anti-bullying policies are broadly advertised and in his class; Nemo sits close to a wall full of coloured-in versions of the “do the HIGH FIVE” hand. Now after their first ‘bullying awareness’ lessons at in prep, I have spent a lot of time explaining to Nemo that not every grimace, every funny voice, every joke made by the boys is meant to tease him. 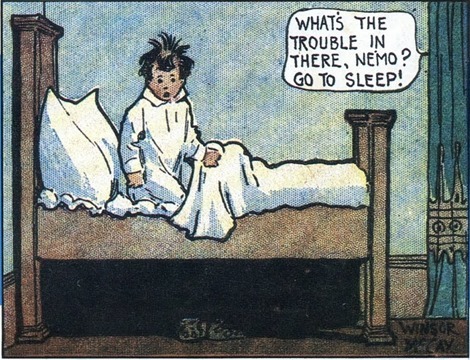 Nemo often pushed children away that were trying to make friends, in a silly kid kind of way. But this has now changed. In the last 2 weeks, some boys in his class have taken to “test and trigger” his sensitivities – on purpose. The result is that my son, usually inclined to yell and flee from stress has now repeatedly tried to smack them to stop it, including to the head – and he was suspended for a day this week (no one was hurt, they were still laughing). Now there are a couple of reasons why the dynamics in his class has changed (teacher changes, new students, a long term) and I understand it is beyond the control of the school. I accept the disciplinary action, sort of.. (I have not grown up in Australia – suspension for a 7 yo?! ) Until recently, I was quite happy with the support by teachers and special ed’ dept. We had great results. Nemo was less anxious about school, confident and stable in class. But the school’s response to this acute problem, let’s call it “budding bullying”, is flawed by the fact that they have a policy that does not allow them to “single out the children with special needs” – to avoid bullying. It is obvious, Nemo is different, he has some special arrangements in class, gets one-on-one time and so forth.. Still, they believe saying ‘this child has autism’ will lead to more bullying. I have come to think that I totally disagree. I believe children, especially young ones, have a natural need to be ‘like the others’ and belong. But they also have a much greater flexibility to accept differences, when they get help to understand them. My son doesn’t look different. But his social behaviour is a wild mix of toddleresque outbreaks of love or anger (this can change fast! ), and an odd übercool teenage attitude that is a lack of understanding of polite, friendly gestures or clumsy copying of others in the wrong social context. He has autism. I am not spruiking his autism to my son as a special gift but he knows it’s nothing to be ashamed of either. It’s not “a label”. It’s our reality. By teaching only generally about “everyone’s different weaknesses and strengths” – “yay, we are all different!” – the school is maybe respecting the wish of other parents, but certainly not mine. My son’s “difference” obviously does not appeal greatly to the kids (he has no real friends) but also, they do not understand him at all. They are not educated about autism. If they were, of course, some kids – the present and future bullies – will still tease him. But the OTHER children, those that say nothing, those that I still think could be his friends, would they not be able to support, even defend him better ? I do not care about the bullies. They will come and go. I am certainly not naive, this is just the start. But I do care about education. Acceptance ALWAYS comes via education. We instinctively fear what we do not know or understand. Ableism is just a form of Xenophobia if you will. We fear what is strange. I am still pondering how to tackle this, but something needs to happen. I want to work WITH the school, not go full frontal. But I think that long-term, the outcome of an initiative with information about autism is in the interest of all the children. 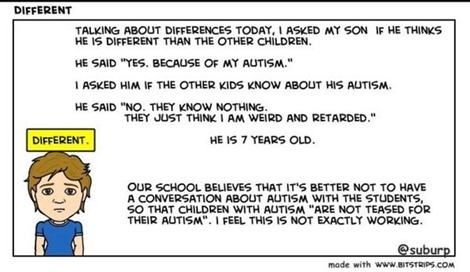 It’s the same with the continuous calls for “autism awareness” vs actual integration and acceptance. Most of us are quite aware of autism. For real acceptance though, society has to learn about it too. This entry was posted in Australia, Autismo and tagged ableism, acceptance, ASD, Asperger, australia, Autism, awareness, bullying, children, differences, disability, parenting, school, special needs, support on September 14, 2013 by starfish. Two days ago, I blogged about Isabelle Stapleton. Incidentally, there were elections in Australia with the (expected) outcome of a new government that, to be honest, has me worry A LOT about the future where health, education and the general welfare of my family are concerned. While following the events of election day, I also followed the reaction of “the autism community” (parents with autistic children, autistic adults, advocates) to the attempted murder-suicide in the Stapleton family. The ‘community’ is “reeling”. It is also divided. In brief, some focus on the act committed by the mother (as I did in my post) others have sympathy with her and blame “the system”, ie lack of support. And now the different blocks leash out at each other. I am writing this as a reminder for myself of what I have already previously observed : we are all different. There is no such thing as ‘the autism community’. Let’s stop pretending there is. With the stats being what they are (let’s say 1:100 to have an international, not gender specific value), there is no way I have much in common with ALL of the autism parents out there. Other than being a parent to a child with autism, that is. You don’t know me. We are not “in it together”. And although I honestly appreciate the insightful blogs of adult autistics, they are not only extremely different than me, but also most probably are very different than my autistic son will ever be when he is their age. We are all different. We see things different. We have been through different things in our very different lives. One may feel the pressure of raising a special needs kid getting to them, others might have known the mother from the blog or IRL, so they might think “This could be me one day” (in this case GET HELP). But the other side might feel the grip of fear that eugenics is still a spectre on the horizon and the understanding that parents worldwide kill their own children with special needs is unsupportable for them – because they could be the victims themselves. Now as it happened, I too felt some sort of lose connection to it, and the need to comment, to reflect on it, to appeal to parents to stop seek justification for what is an act of crazy non-explainable attempted murder. Psychosis is the only explanation and for anyone who has come close to this, it has nothing to do with the reasons, but all with psyche, trust me. And I am now over it. I can’t help the Stapleton family. Of course not. I could not then, and I cannot now. Out of respect to Issy, this should not become a political case. Her life has been too public for too long already. Think of her and her family, or pray if you do, her life is still in danger from what i know. So we are not one big “autism family”. And that’s ok.
Let’s stop judging each other for reactions to what has happened. 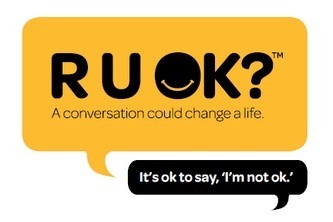 Look out for those who are close to you, right there and now, and maybe just ask them, are you ok? Be attentive, truly listen, find out how others really feel. Also be honest about it yourself. It is ok to say “I can’t go on no more”. Please keep talking. That the best we can all do. This entry was posted in Australia, Autismo and tagged ableism, australia, Autism, autism community, autist, autistic, counseling, Depression, eugenics, issy stapleton, kelli stapleton, psychosis, r u ok, suicide, USA on September 8, 2013 by starfish. I do not know the girl I am thinking of today. Her name is Isabelle Stapleton, known as “Izzy” or “Issy”. You probably know what happened. When your child is diagnosed with autism, you start scanning the internet for information, for connection, and if it is your medium, blogs of parents in similar situations to relate, to connect, maybe for answers, maybe just for the feeling not to be alone. I have come across very different kinds of blogs and one reason I am still hesitant to fully document my own son’s journey online, is the protection of his privacy and the feeling that while a more popular blog might bring ME the feeling of recognition and community, it might not be, in the end, in his best interest. And my son’s interest always comes first. Today, I feel sick because a mother whose blog posts I have read, whose blog many of other bloggers have read, has committed what in my eyes is one of the worst acts a person can commit in their lifetime. She attempted to kill her own child. So I see the first media reports and blog posts talking about “this brave woman who fought tooth and nail” and her “genuine love” for her daughter . I read “even the strongest fall” and “safe haven laws” and respite possibilities are simply not covering the desperation of autism parents in the US. And maybe this is all true. But, as a parent AND as a person who has been in a situation where I seriously considered suicide as the only way out, then, briefly, murder, yes murder – of my adult abuser – I cannot feel empathy for the woman who is recovering from carbon monoxide poisoning while her daughter is still in a coma with the possibility of permanent brain damage. There is no excuse. When I first came across blogposts on the strange media attitude that surrounded the horrible deaths of children with disabilities, I felt bewildered and was with those who said “murder is murder”. Although the struggles of severe autism seem so much harder than my son’s, I felt nothing could ever justify the murder by violence, medication or severe neglect. Nothing. Anyone who has a child with autism and who is not too caught up in the ‘fight’ or more occupied with finding a “cure”, will have found that our own attitude, our own anxiety, stress levels and ability to cope are major factors in the behaviour of our child. No, I am not saying that autism parents are causing their children’s outbursts or aggression but they are contributing to them, when they can’t cope, be it “out of love”, be it by lack of resources, be it their intense personality. It is very obvious to me that the public fight of Isabelle’s mother was an expression of her panic and inability to cope, and the many people who supported her, and still support her now, in the end, have not been able to protect Issy from her own mother. Her mother who was clearly NOT one of “the strongest”. She was weak before the fall. Psychologist will make better sense of it, but for me, those who talk about “co-dependency” and “psychosis” today are closest to the truth. I am not throwing stones at the whole family, I do not pray, but my thoughts are with them, are with Issy. Issy. I cannot even remotely imagine how the realisation what her mother did, will feel if she fully recovers. I have no answer to the questions that are raised by these cases. I do not claim to be a better person, or a better parent than the mother who committed the act. Some of us, in life, have come to a point where the idea of death seemed a pretty good prospect to just get away from it all, whatever it is. I do not condemn suicide as cowardly or a sin. But never ever, in no circumstances, has a parent the right to take this decision for their child, as dire the situation may seem to them. You have the right to give up, to be weak, to break down. Hell, abandon your child if you cannot cope. You do not have the right to take your child’s life. Never. *) I found the first post from Feb I read. I commented with links to Anonymous as the mother felt she needed to go MORE public with a video of one of Issy’s outbreaks. I recommended her to opt for a more anonymous presence online. I now remember being put off by the aggressive attitude of both the mother and many of her supporters immediately after that. This entry was posted in Autismo and tagged @teamissy, abuse, Autism, autism community, infanticide, issy stapleton, murder, status woe on September 6, 2013 by starfish. Autism : “language matters”–yes indeed. I have a particular pet peeve and I know I am not alone : Nazi analogies. Upset me. Every time. Now I have been told before that my personal sensitivity to people “playing the Nazi card” for emphasis – or as a playful hyperbole! – comes from the fact that it was indeed ‘my country’ that caused the 13+Mio death (non counting war casualties) during the 3rd Reich. The idea being that some kind of inherited, collective guilt-shame makes me cringe or irritated when I am reminded of it. Not so. I am quite aware of my country’s history, thank you, and I even know how my own family was involved and victimized by the Nazis. I have grown up to “never again” and “fight the early signs”. And also : “language matters”. As history moves on, new genocides and war crimes happen, still it is generally agreed that the Nazi terror is the ultimate superlative of horror and calling someone a “Nazi” is the non plus ultra insult. Or is it? Because by the end 90s, I started to dive into the Anglophone internet – and came across the word ‘breastfeeding Nazi’. Hang on, what!? Wow. And then, people would literally say about themselves : “I am a bit of a grammar Nazi” to express how much they cared for proper use of language. Is that so? Well, let me be the Thundering Goddess of Linguistics and tell you – there is no semantic shift for “Nazi”. You need to shut up! “Nazi” is the colloquial expression for members of the NSDAP during the 3rd Reich. Out of respect for the tens of millions of victims of persecution and war, the survivors and descendants – you cannot use the word for emphasis or comparison. NOTHING compares and will ever compare. And this also goes for the use of nazi-isms for the politically or socially outraged. Yes. Unless there is a real connection to 3rd Reich persecution, your argument will not be more convincing by adding shock value with holocaust comparisons, “reductio ad hitlerum” or using Nazi as a prefix. As a matter of fact you will certainly lose credibility and support. Yesterday, in a tweet, someone compared the “autism epidemic” (sic) to the holocaust. Look. I see the pain of parents and autists alike. I know we are lucky. Lucky to manage ‘so so’ with a child that has good (not perfect) support in Australia – and ‘only’ high-functioning autism. I do not compare myself to the parents that are lost and confused and feel abandoned by their governments (in the example: the US). But while the use of shock talk might get you some attention, I doubt it will get you more support or understanding. Autism is and will never be an “epidemic” (=outbreak of infectious disease). And comparing a government that you judge too inactive in the face of exploding numbers of diagnosis to those responsible of actively murdering millions and millions of people in death camps? Just – no. This entry was posted in All other stuff, Autismo and tagged australia, Autism, breastfeeding, english, epidemic, Germany, grammar, grammar nazi, language, linguistics, nazis, nsdap, semantics on August 25, 2013 by starfish. There are elections around the corner here in Australia, and one popular (somewhat populist) term we frequently hear is that ‘everybody should have a fair go’. When you are the parent of a child with special needs in a mainstream school, chances are you often wonder about what is fair when it comes to the conditions and outcomes of the education of your child. In the beginning, I felt often somewhat guilty for my disruptive, distressed child and his autism amongst all the other ‘neurotypical’ kids. I wondered if their parents who said “oh you’re Nemo’s mum? Yeah, Clara talks about him..” were maybe secretly wishing he was not in their kid’s class, bringing disturbance to their own child’s learning progress. Admittedly, in the beginning of Year 1, Nemo’s presence in school was chaotic, loud and confusing. Even for me. So I wondered if it was fair on the other kids having to “put up” with my son who got an over-proportionate share of the attention of their teacher and got allowances for behaviour due to his autism that would have brought on disciplining for them. And while my personal premise was ‘as little intervention as possible’, he still had regular assistance from the SEP team, in class and in one-on-one sessions. A friend of mine, also with a child that has Asperger’s and part of the education system herself, then said to me “He has a right to all that. Integration is an entitlement, you know. “ – An entitlement? Ok… but if that is so, you as a parent are still quite challenged to stay behind it all so that the help your child has a right to, does happen, when it’s needed and how it’s needed. “You are your child’s advocate! “ I learned. Recently, in the context of studies in age care, I read a paragraph on equity : Equity, different to equality seeks to equal the outcome of a process, rather than the simply giving the same amount of service to everybody. Equity takes into account the actual needs of the individual, and the outcome provides a fairer, more equal outcome for all. 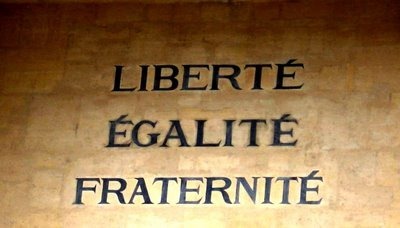 “Equality for All” was a virtuous demand at the times of, say, the French revolution, we accept today that actually, we are not all equal. While it’s still a work in progress, we have come a long way with the support of people who are disadvantaged for by ethnicity, gender and disability. Disadvantaged not always because of their actual capacities, but because they are not getting ‘their fair go’ to actually show what they can do. Like the first cavemen that decided to provide food for a limping former hunter whose idle play with some rocks might then have led to the discovery of flint stones, our society – in theory – recognises the value and potential of those who at first view seemed simply ‘weak’ or incapable. My son, although he may not be destined to bring the world a similarly ground-breaking discovery as fire, now needs support to cope with the environment in class, certain learning processes, handwriting. He gets more and different help than the others but he is, I am happy to say, now socially and academically stabilized. In return, the children in his class may have learned about difference and acceptance. Integration, I believe, is a two-sided process. So from guilt over entitlement, from advocacy to equity, I have learnt to see that the outcome is all that matters. Our learning never ends, and I know there is more challenges ahead for both him and me as a parent, but my son will get his “fair go”. I’ll make sure of that. 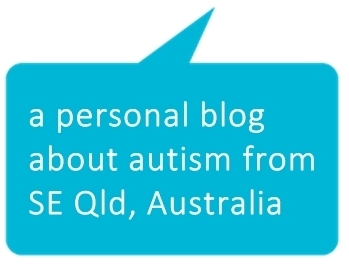 This entry was posted in Autismo and tagged ASD, Aspergers, australia, Autism, equality, equity, school, special needs on August 22, 2013 by starfish. I believe in science. And vaccination. The Australian government announced that it will actively penalize parents who do not vaccinate their children by cutting the Family Tax Benefits . These are usually paid – if you qualify by income threshold – to families here, instead of direct tax reductions or classes (as done in other countries). This policy announced by the Australian Labour Party – whose re-election in September is currently less than certain – sends a strong message that, I believe, is meant to make people understand that it is indeed NOT an individual decision whether or not you vaccinate your children. Also, according to the article, payment restrictions are already in place since last year, but left room for the so-called conscientious objectors. Labour plans to only allow medical and religious reasons for non-immunisation. Interesting. 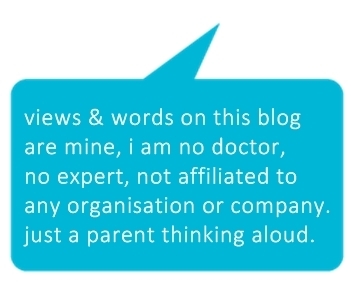 Now, I have yet to blog about my personal experience with both, the Australian Vaccination Schedule (which is different of European ones and therefore registered my son in default at the age of 4) and payment cuts (of the Child Care benefit in my case) . All this indeed happened about a year before the first clear signs of autism showed in my son, after he actually ended up having one more MMR vaccination packet than your regular Australian child. And no, I was not comfortable with this. I would have had to live under a rock – or at least without internet and other media – to not have ever heard about the forever discussed, but completely disproven “link between autism and MMR vaccinations”. So yes, I read a lot about it. Luckily, we have seen immense progress in medicine. In the end, I have come to the conclusion to trust modern science over what we will just call ‘people on the internet’ with an obsession over governmental conspiracy, ‘Big Pharma’ and the belief that ‘all things natural’ are automatically good and wholesome for you. Now, bacteria, viruses – they are indeed natural occurrences. 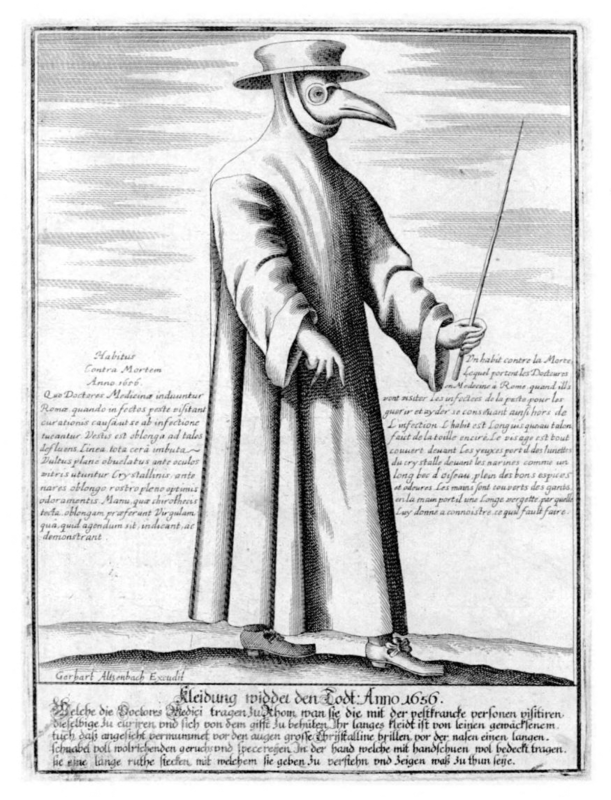 But even if overpopulation has become a serious problem on this planet, I have yet to see calls for the reintroduction of , say, the bubonic plague to somehow regulate the problem ‘naturally’. I am as ‘bio’ as any odd person, I believe in healthy food and recycling, and I certainly don’t run for the medical cabinet at the least sign of a headache. But if my son had a spiral fracture in his leg, I would not simply straighten it with a stick and hope for the best. If he had a fever or an infection, I would not set leeches on his body to pull illness out if it. I am, indeed, thankful to live in this time and in a country, where we have access to modern medicine, anaesthetics, medication and surgery. And free (!) immunisation programs. Yes, there is an inherent risk of side-effects, allergic reactions or human failure on administration in modern medicine, but on the whole, we are SO MUCH better off than many on this planet and certainly better than our ancestors who battled with high child mortality rates and incurable illnesses throughout history. For me, on vaccination, my personal research is long done : I have formed my opinion and will follow through (with the vaccination schedule that is). But I still follow the discussion and events. Here is an excellent write-up on what’s going on in the US I read only this weekend. Even if some have moved on from the ‘link to autism’ debate, there is now a whole and very vehement anti-vaccination movement, based on the rejection of ‘toxins’, a preference for immunisation through ‘natural antibodies’ and the before mentioned suspicion of ‘BigPharma’. And this movement is indeed also growing in Australia. In this context, the planned policies deserve a bit of consideration. I wonder is if these people will even be concerned by the cut in government funding, when – other than complacency due to ignorance on the severity of these illnesses – the most fervent immunisation rejecters are often part of the upper middle-class to wealthier parts of the population ? If you do not get or need the Family Tax Benefit in question, you will not feel any cut at all. I have also read in the past, that the perspective of future stricter laws to protect herd immunity in Australia has lead some “anti-vaxxers “, as they are also called, to already start some sort of pseudo-religious movement to be able to put forth the required religious reasons. Homeschooling rates might increase further, but I could also imagine the set-up of ‘immunisation free’ child care centres. Members of the movement have shown to be fierce in the defence of what they consider their right to individual choice as it is, and I can already imagine how people who otherwise have had no objection to immunisation will now question the ‘real reasons’ of a government and sympathise with the movement just out of principle. It’s a dilemma, because the immunisation rates according to the NCIRS , are still relatively high and are ensuring herd immunity in this country – on average. But there are pockets in certain areas with far lower coverage, and larger outbreaks of vaccine-preventable diseases in other parts of the western world in similar settings (in several European countries) have been registered. Sadly, for some people, the new, stricter policy (if it comes into place) will just increase their suspicions, drive them onto the internet for ‘information’ and into the arms of what I believe is fear-mongering, 1st world problem creating propaganda (anti-vaccination sites are increasingly donning a more ‘news&science’ design, in look as much as in their articles). But other than the never-ending mommy wars about breastfeeding, working, homeschooling or disciplining your child, this is actually a VERY serious problem and it does NOT only concern your own child : One sick non-vaccinated child can easily introduce infectious diseases into any group of vaccinated children who can still carry the infection home to their family. This has the potential to kill children. Babies, who are too young to be immune yet. Children with actual medical deficiencies that cannot be vaccinated. “Chicken pox parties” or the celebration of measles in a book ? I can’t see how any thoughtful human being would want to be part of that. Personal choices and decisions do ALWAYS end where they interfere with other peoples well-being. And while it is true that one section of the movement has widened their argumentation beyond the false claims that vaccinations cause autism, I can’t help but feel that there is still a lot of time, energy and money spent that does nothing to help people and children with autism live better with the condition. Rather, autism is still painted as the “ultimate evil” that can come into your life if you do not distrust, delay or refuse vaccination. Now while this is not only false in regards to what scientific research says on possible causes of autism (at the risk of sounding like a broken record: NOT vaccination), it furtherly contributes to the negative attitude the public will have towards autism and other people with visible or invisible disabilities, mental illnesses and generally anyone who is different, weak or disadvantaged in any other way. I am not one of the parents that will tell you how ‘the gift of autism’ is what makes their child so unique, so beautiful or deep. But I am living with it on a daily basis and I am accepting it as part of who my child is. Yes, he is a great kid, unique and beautiful. But every unscientific blogpost, every media appearance of an anti-vaxxer merely on the basis of ‘balance’ when reporting about immunity issues, raising doubt and fears in parents, keeps feeding into the unscientific, dangerous debate about the ‘epidemic’ of autism and makes his life, along with that of all other autists in our society, that much harder. And that has to stop. In the light of all this, as a parent and as a thinking person, the policy announcement is a step in the right direction. Any actual thoughts on this are very welcome in comments. The usual Anti-vaccination propaganda is not. Comments are moderated. This is a 3 part series about SLEEP in our house. Today – Sleep as a schoolkid. Sleep still doesn’t come easy in our house. From the toddler who’s ‘sleepy train’ would arrive but only depart to actual sleep after a lengthy periods of calm after a day full of adventures, by the time Nemo started kindy, things got more complicated. At about 4, we saw pretty impressive night terrors at random times in the middle of the night. His screams had me bolt to his rescue, find him upright in his bed – to wake him, he basically needed shaking. It was so scary. Bedtime was getting more complicated too. Mostly alone due to my husbands nightwork, I now faced no more a peaceful downtime but a lot of anxiety and questions – so many questions! – at night. Autism was still not on my radar, but it was clear that he struggled to ‘digest’ every day’s events and interactions – all these things became more complex now and harder to understand. Sometimes, not questions but moves were the solution. Nemo would frantically race through the house, banging into walls, jump on the bed, or on the spot. In his room, I could hear him hum, talk, and rumble. He would come out again and again to “check on me”, complain if the house was too quiet, but also if it was too loud. We discussed many imaginary and real pains/itchiness/anxieties. All this after reading to him, after singing, after cuddles, after dimming the lights, all that jazz. He just could not sleep! I experimented with different physical sleep arrangements, light variations and A LOT of singing, and honestly, more than once I nodded off myself, it was so exhausting. One day, I installed an old mp3 player with a speaker at his bedside. It had a broad mix of music and we started playing the more calmer albums to see how it would go… What happened was that he would listen to the music until he knew a song and then get up and inform me about it! Not exactly what I wanted. And then he found HIS SONG. It was “Chan Chan” by Compay Segundo. The album was on the player. He asked me to repeat it after he heard it once. And again. I put it on repeat and left the room. When I checked on him later, he was still awake, but calm. Finally, he fell asleep. The (wonderful) Cuban music on repeat had somehow occupied his brain just enough to settle him, but not too much to stir him further. At least that’s what I think. He does not speak Spanish, so I believe the song was like a soothing white noise and it helped him get closer to actually sleep. We staid about 8 months on that song. It didn’t bother me hearing it waft through our house for many, many nights. Compay Segundo brought peace to my boy and peace to me. A diagnosis of Asperger’s / ASD and 2 1/2 years of rather troublesome school experiences later, we have a cuddles&talk or reading routine for bedtime. Now Nemo likes to read for a while by himself, mostly fact books. “Bedtime” still easily takes about 2-3 hours. Music still plays an important role. We have a broad collection of music. Nemo sometimes choses himself, sometimes I decide. It works with classical music, but also slow rock and ballads, Nemo likes Sade, Al Green and Elvis (for the last weeks, we are stuck on “Now and then (there’s a fool such as I)” yep. didn’t even know that song really). Modern music, 80sRock etc, much appreciated during the day, are not working for sleep time at all. One song, on repeat, until sleep. On days with ‘incidents’, I actually leave the music on, at low volume, in case he wakes up at night. But he hardly ever does. For us, this works. Although he falls only asleep between 9 –10pm, so still a late bedtime in the eyes of many, my son sleeps most nights ‘like a baby’ (well..) or “like log” as we say, as he can be moved around and nothing wakes him up. He rarely wakes up before 7, so he gets 9 – 10 hours of sleep. I know how lucky I am compared to many parents of sleepless children, autism or not. I have discussed and discarded the idea of medication for Nemo. I know that for others that is the only solution, at least temporary, and I do not judge them. I believe though, especially for children, that it is important to do this in a medically supervised way, never with ‘over the counter’ products. Children are so fragile and sleep is a precious part in their development, I fear too much medication at a young age will not allow for their own brain to develop pathways to sleep.. This entry was posted in A la casa, Autismo and tagged ADHD, ASD, Aspergers, Autism, bedtime, buena vista social club, chan chan, childhood, children, Compay Segundo, elvis, insomnia, melatonin, melatonine, night scares, nightmares, parenting, sade, sedatives, singing, sleep, sleep deprivation, sleeping, sleeping pills, story time on June 5, 2013 by starfish.